While me and couple of hundred other SID fanatics are waiting for the SIDFX units to arrive, a new advanced dual SID board design appeared out of the blue; MixSID by Henning Bekel. The arrival of MixSID is quite interesting, as feature-wise MixSID appears to be on-par with the SIDFX. Want to install any two SID models to any C64 model? Be able to switch between the installed SIDs on the fly? Choose between mono, dual-mono or true stereo operating modes? Have flexible selection for the second SID address space? Adjustable digi-boost for 8580? Volume level balancing for the installed chips? Reduced noise? Both SIDFX and MixSID are capable with the above, and more. Of course SIDFX has even more some interesting features, including software configuration for the settings, and automatic configuration (voltage, filters) for the installed chips etc. 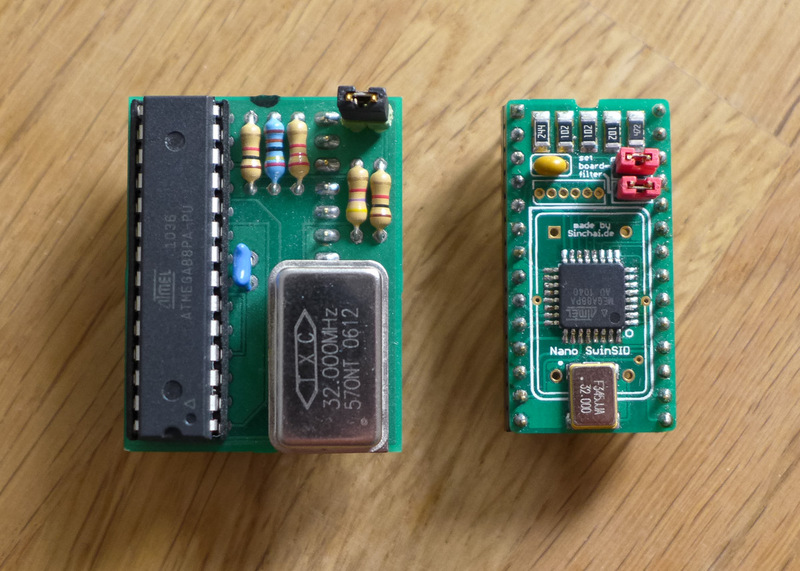 Comparing the two is not exactly the point of this article, but I can’t help myself doing that spec-wise, as both are advanced dual SID boards, with many similar features, and appearing around the same time. 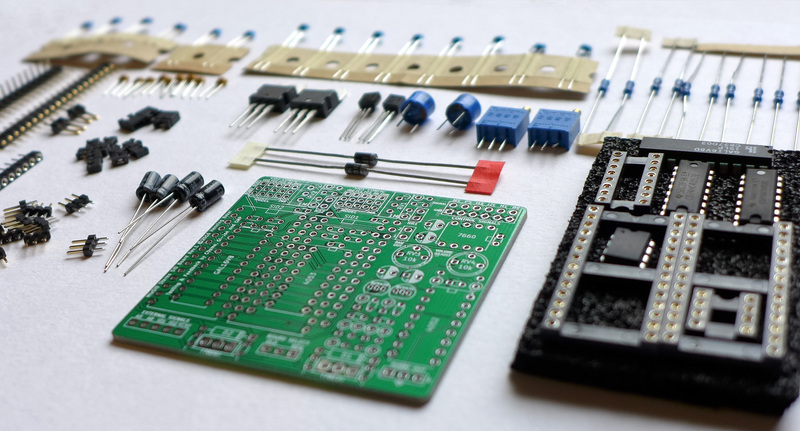 The biggest difference between the two is actually the approach and design philosophy; SIDFX states being a plug and play, solder free solution that automatically detects the installed SID chips and configures itself accordingly. MixSID, in turn, is manually configured, comprehensively documented, open source, and DIY-friendly. In fact, you can only have MixSID by building one yourself. You can go ahead and order or make your own pcbs, but Henning also sells the MixSID boards as kits, and I was sure to get myself one. I’ve written about the need and importance of having a proper replacement for the SID sound chip few times before. So I won’t repeat myself on that, as this is going to be a lengthy article anyway. Because what we have here is big news on this front. What they have come up with is a highly modified and expanded version of the Nano SwinSID, now called SwinSID Ultimate. The enhanced hardware is mostly developed by CodeKiller, and Hermit has rewritten a new sound engine almost from scratch. The aim has been to make a more compatible, more capable SID replacement than what the Nano SwinSID already was. Since it’s initial release in 2010, the Micro SwinSID from Swinkels has gone through some improvements over the years. These improvements have come in form of both hardware and firmware updates. Most obvious improvement was the change of form factor from the Micro SwinSID to the more familiar Nano SwinSID. 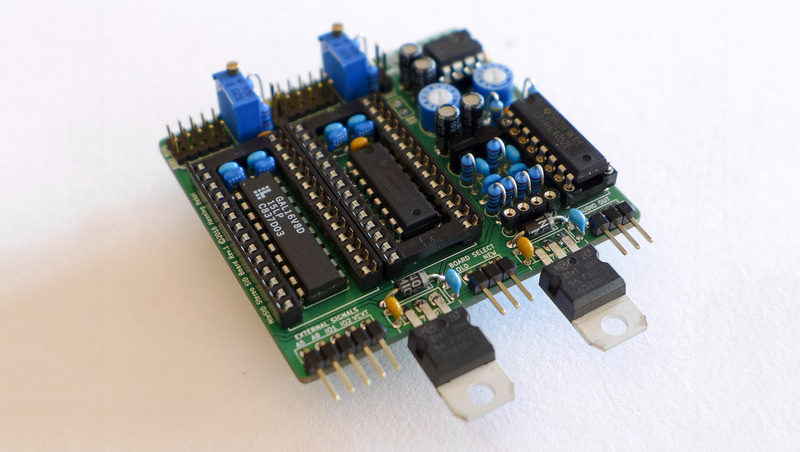 Initially the Micro SwinSID was based on DIL-packaged ATmega processor making the board that housed also a full-size crystal oscillator and couple of trough-hole components almost twice as wide as the SID socket. 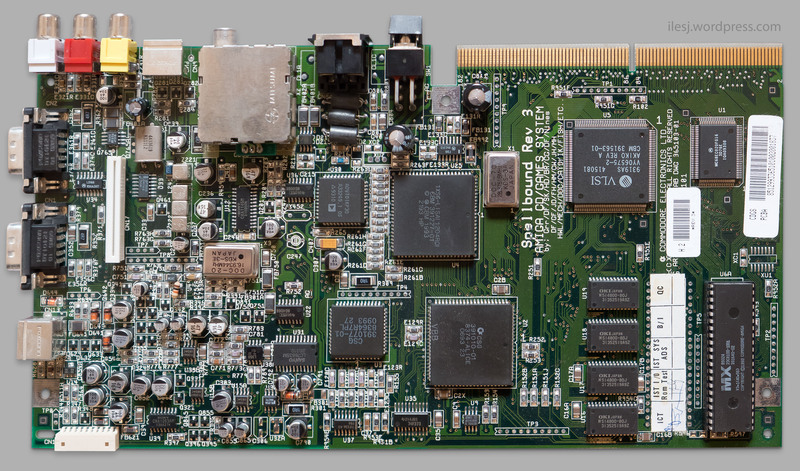 Some time later a redesign appeared that was based on surface mount components, squeezing all the same components into a small PCB that’s no larger than a real SID chip. Or at least as long as only area is considered. Pin headers, components and jumpers make the board somewhat thicker. Micro SwinSID and Nano SwinSID side by side. Both designs have the same components and features, except for the additional filter jumper in Nano. During the first few years since the introduction, there was couple of official firmware updates. 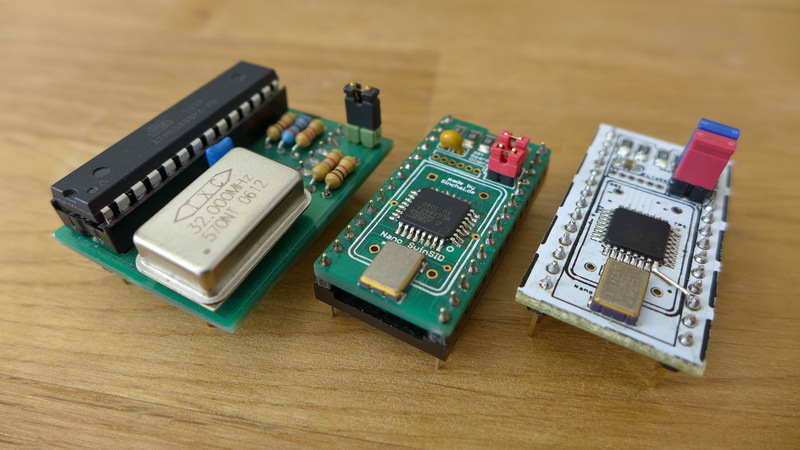 These firmware updates improved the sound emulation and compatibility with the behavior of a real SID chip, reducing the number of cases where Nano SwinSID would not sound or act ‘right’. Down the line there was also a feature update that made it possible to select the filter emulation between 8580 or 6581-like behavior using a jumper. These refinements have improved Nano SwinSID, making it more feasible SID replacement with each improvement. Sadly there hasn’t been a new official, or publicly available firmware for the Nano SwinSID since 2012. As if SwinSID had reached its maximum potential with some of its flaws to remain. Continuing presenting some of the graphics I’ve done for the Commodore 64, this article revolves around my latest picture and how to view it – in technical sense. This picture is a bit different, since it’s made for old PAL C64 with so called “old lumas”, which I covered in my previous post. In other words I’m making use of the slightly different color palette found in early C64s. And not only the palette, I’m also exploiting the color bleeding introduced by the PAL color encoding. 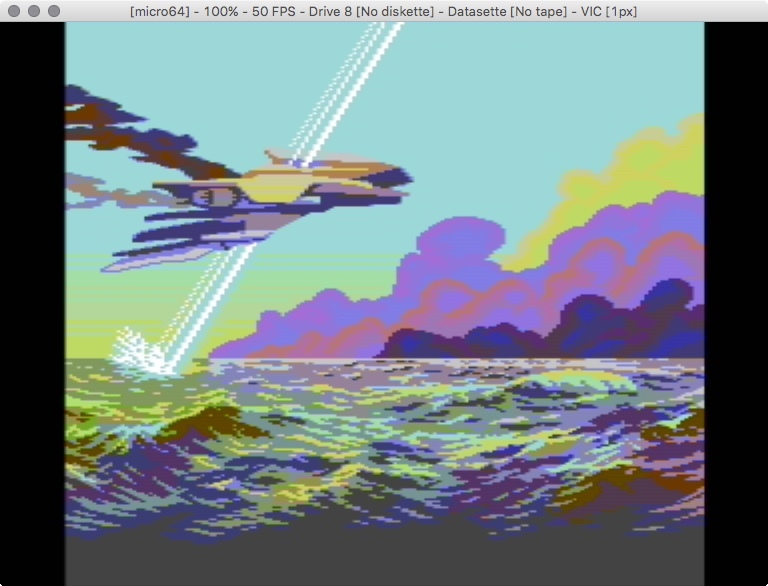 The result is that the picture appears to be more colorful than one might expect from the 16-color palette of a C64. This picture requires a specific hardware setup. 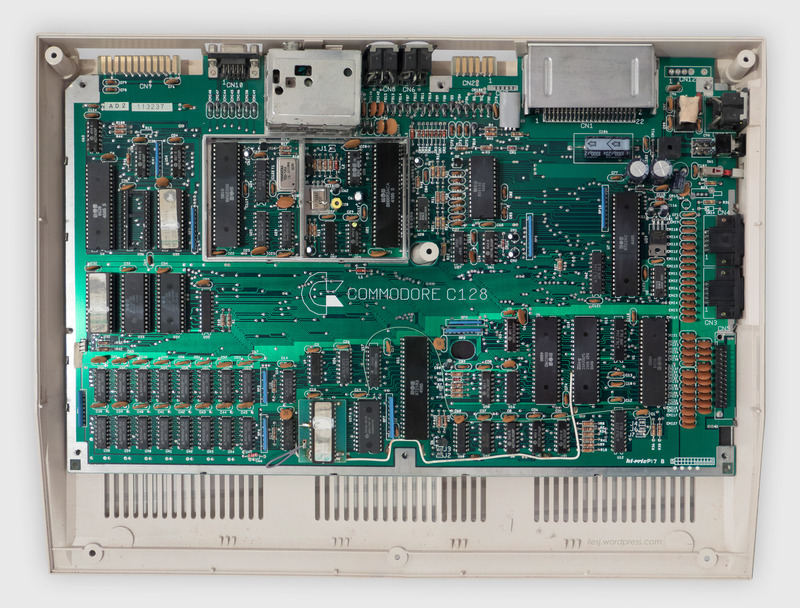 Namely a PAL C64 with early 6569R1 VIC-II chip. A real C64 is needed, or alternatively, an emulator or viewer that can simulate the effect of PAL color encoding/decoding while supporting the old lumas. The reason is that with this picture I’m exploiting color bleeding together with the different color palette. Screenshot taken using an emulator with old luma settings and PAL video encoding emulation. Early VIC-II chips produced somewhat different colors than the later ones. In the earliest revisions the 16 colors had five luminance levels, i.e. brightness values. Black and white are the lowest and highest values, and the remaining 14 colors use three luminance levels that are evenly spaced in the brightness spectrum. Simply put, there are dark grey, medium grey and light grey, and all the colors are as bright or dark as these three shades of grey. In later VIC-II revisions four intermediate luminance levels were introduced. Now there was nine luminance levels instead of the previous five. The palette with nine luminance levels is what most people consider as the normal C64 colors. From this article you can read all about C64 luminance levels and colors. This one has a Scandinavian character set, that’s why the three paper labeled EPROM chips.